Here to help you, even after graduation! Nothing reflects the value of a Central Penn College education better than the success of our graduates. 84.1% of Central Penn alumni found employment in their chosen field or were furthering their education, according to our most recent One-Year Graduate Survey. These graduates found our Career Services Office a valuable resource for landing their first job and launching a new career. You can get guidance, hone your job seeking skills and find current openings. All in one place. Career Services assistance is available to all of our students and graduates. We're here to help if you change jobs, shift to a new career or just need advice you can trust. This advantage is yours for the asking. Contact our Career Services Office for more information today. Get the most out of your network. Network with Central Penn alumni! Success comes more easily when you have help from someone who has graduated from Central Penn and gone on to a successful career. Join our dedicated alumni networking platform Alumnifire (open to alumni, students, faculty and staff) for job postings, discussions, mentoring, and more. Sign up using LinkedIn or Facebook and start spreading the word. If you would like assistance connecting with a graduate one-on-one, contact our Career Services Office or Alumni Enagement Office. The mission of Career Services at Central Penn College is to provide inclusive and diverse career development services and resources that will prepare students and alumni to successfully obtain employment or advancement in their chosen field, or continue their education. Mr. Hassinger earned his B.A. in Psychology with a minor in Sociology from Penn State University and his M.Ed. in Student Affairs from Regent University. He has over 23 years of career development experience and has been the Career Services Director at Central Penn College since October 2002.Mr. 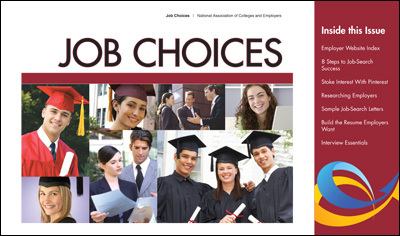 Hassinger is a member of NACE (National Association of Colleges & Employers), PennACE (PA Association of Colleges & Employers), and CPEC (Central Pennsylvania Employment Consortium). Kristin has been an Internship Coordinator at Central Penn College since January 2016. Prior to serving in this role, she was a Continuing Education Admissions Counselor for the College. She has eleven years of experience in post-secondary education, primarily in the areas of Career and Student Services. In 2008 she earned a Master’s in Business Administration Degree. She is a fellow Central Penn College graduate from our Business Administration-Marketing Bachelor Degree program, in 2007! Kristin is a Co-Advisor of Central Penn’s Colleges Against Cancer Club and the Partners Against Cancer Chair for Making Strides Against Breast Cancer of Harrisburg. In October 2017, she was named Central Penn’s Staff Member of the Quarter. She enjoys working with our students and employer partners in the community. Kristin assists our students throughout the internship process from completing applications to completing their academic requirements. She hosts employer workshops on campus throughout the year to highlight internship opportunities as well as an Internship Fair during the Summer term. When she’s not helping students and meeting with employers, you can find her joining in the Pilates and Zumba classes on campus! Kristin lives in Liverpool, PA with her husband, two sons and Aussie Shepard dog. The following is a listing of upcoming career-related events in the area. 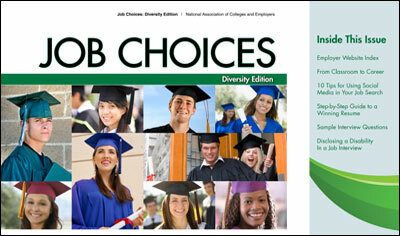 For more information on a specific event, please click on the event title or contact Career Services at (800) 759-2727. Video: How Can Career Services Help You?